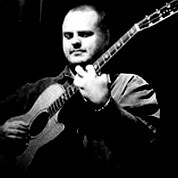 Andy McKee is an American fingerstyle guitar player. His style of playing and his compositions have earned him a considerable international fanbase. In late 2006, a live performance of his signature song “Drifting” became a Featured Video on YouTube and MySpace, achieving over 40 million views on the former to date and remaining one of its highest-rated music clips. 20th century. Fingerstyle. Acoustic. 67 Measures. 10 Pages. Time Signature 4/4. Tuning. 1=d, 2=a, 6=d. harmonics.